This 100% cotton A2 Max White (Bright White) envelope has a super soft, distinct finish that you can't help but touch! 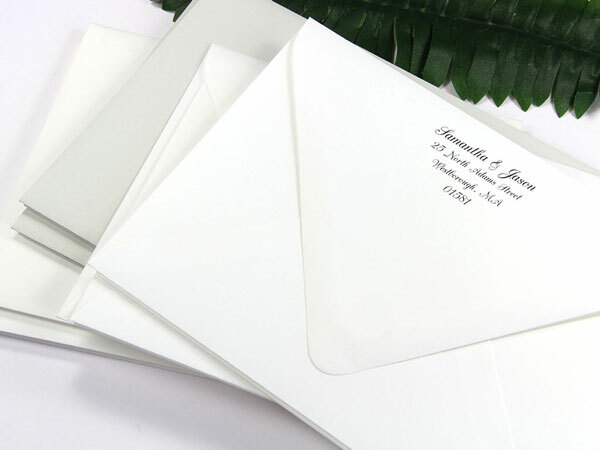 Made with heavy 74lb text paper and featuring an elegant Euroflap design, this envelope is ideal for upscale, impression making invitations, stationery, and correspondence alike. Envelopes print well with laser and ink jet printers, or you can order them printed from us! Paper is archival and fade resistant to stand the test of time.